The price Google charges for its Pixel XL smartphone is closer to what it costs to make the phone than what both Samsung and Apple charge for the GS7 and iPhone 7, but Google still makes more money. Here's why. Samsung and Apple mark up the costs of their flagship Galaxy S7 and iPhone 7 smartphones more than Google does for its new Pixel XL phone. 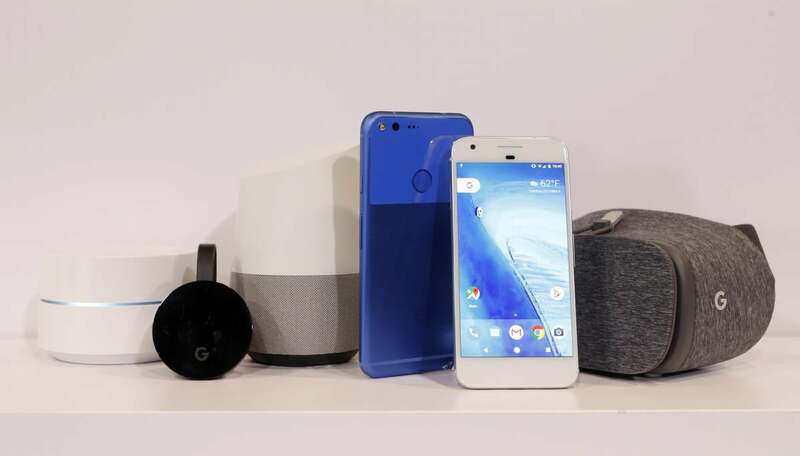 But Google still makes more profit on Pixel XL, according to IHS Markit, a technology market analytics company. The Pixel XL costs significantly more to make than the two phones from Samsung and Apple, so its comparatively lower percentage markup still translates into more profit. More specifically, Google charges $769 for the unlocked 32GB version of its Pixel XL phone, which costs the company $285.75 to make, according to IHS Markit, an increase of 269 percent. Samsung charges $699.99 for the unlocked 32GB Galaxy S7 (GS7), which costs $255.05 to manufacture, for an increase of 274 percent. And Apple charges $649 for the unlocked 32GB iPhone 7, which costs $224.80, IHS Markit says, an increase of 289 percent. However, Google makes more money on each unsubsidized Pixel XL phone ($483.25 profit) than Samsung takes in for each unlocked GS7 sold ($444.94) and more than Apple makes on an iPhone 7 sale ($424.20), based on the company's numbers. These comparisons between Pixel XL costs and GS7 and iPhone 7 prices aren't strictly "apples to apples." IHS Markit did not release cost comparison numbers for either Samsung's larger Galaxy Note7 phone, which has been recalled globally, the more expensive GS7 edge, or Apple's iPhone 7 Plus "phablet." A comparison between Note7, GS7 edge, iPhone 7 and Pixel XL numbers would be more appropriate, but IHS would not provide any such numbers. A company spokesperson says "no tear down estimate like that is available publicly." In a press release, the company did say that "the direct manufacturing cost-to-sales-price ratio is in line with those of direct competitors in the smartphone market, such as the Apple iPhone 7 Plus and the Samsung Galaxy S7 Edge." The "total cost of ownership" for a phone can also drastically increase due to a cracked screen or other damage that requires a repair. Google's Pixel XL received a respectable six out of 10 "repairability" score from gadget repair site iFixit.com, compared to the iPhone's 7 seven out of 10 score, and GS7's unfortunate three of 10. Samsung and Apple are the two leading smartphone makers in the worlds, respectively, based on market share numbers from IDC, a CIO.com sister company. J.D. Power also recently ranked the two companies atop its 2016 customer satisfaction list. Google just released Pixel and Pixel XL, the first Android phones the company manufactures itself, and they've received mostly positive initial reviews.